The Japan Foundation, Manila is looking for young professionals and university students (preferably graduate level) active in using creativity and innovation to address social issues in the Philippines and who are interested in disaster education, preparedness, mitigation, and also environmental issues. If this is you, read on and apply to join the fourth year of HANDs! Young people are the agents of change determining what the future will be. Throughout Asia, waves of young people continue to be active and engaged in social issues, ranging from freedom of speech and democracy to education inequality and disaster recovery. Dreaming of a strong bond of friendship between young people, the Japan Foundation Asia Center through its HANDs Project, hopes to provide them opportunities to learn from and inspire one another. What is the HANDs! Project? Initiated and funded by the Japan Foundation Asia Center, the Hope and Dreams (HANDs!) Project is a bi-annual youth exchange program aimed at nurturing a sense of common feeling and co-existence as a community shared by the people of Asia. The participants will tour the Philippines, Japan, and Indonesia, encountering new cultures, ways-of-thinking, beliefs, and ideas. Travel, room, and board are covered by the program. By traveling and learning together about disaster education, environmental issues, and post-disaster recovery, HANDs! hopes to start a dialogue between young people in Japan and Southeast Asia about the different issues we face as a region, thus deepening mutual understanding and knowledge about each other. HANDs! also aims to build a network of young, engaged leaders by utilizing a two-way exchange method, connecting young people of India, Indonesia, Japan, Malaysia, Myanmar, Nepal, the Philippines, and Thailand in order to share their knowledge, insights, and experiences; encouraging collaborative efforts together in the field of disaster and environmental education through human capacity development. HANDs! Project embraces the philosophy of the three elements: Soil, Wind and Water. Soil symbolizes the local people and community; Wind brings seeds of greater changes to the land; Water nurtures the seeds within the soil so that one by one, they will flourish. All the elements complement each other. HANDs! participants are the Wind and the Water, bringing and nourishing positive changes and envisioning a better tomorrow for everyone. What am I going to do during the HANDs! Project? In commemoration of the 60thAnniversary of Philippines-Japan Diplomatic Relations, the Japan Foundation and Fukuoka Prize Committee, in cooperation with the Japanese Studies Program and Department of History of Ateneode Manila University (ADMU) will revisit history and development and explore its future achievements. The symposium will engage Filipino “Fukuoka Prize Laureates” – Dr. Reynaldo C. Ileto (2003 Academic Prize), Mr. KidlatTahimik(2012 Arts and Culture Prize) and Dr. AmbethR. Ocampo(2016 Academic Prize) as resource speakers; Dr. Yoshiko Nagano (Specialist on Asia society and economic history, Kanagawa University) will share her views on the aforesaid theme. Dr. WilfridoVillacorta(former Ambassador to the ASEAN and ASEAN Deputy Secretary-General) will be the moderator. The Japan Foundation, Manila is looking for young professionals and university students (preferably graduate level) active in using creativity and innovation to address social issues in the Philippines and who are interested in disaster education, preparedness, mitigation, and also environmental issues. If this is you, read on and apply to join the third year of HANDs! Initiated and funded by the Japan Foundation Asia Center, the Hope and Dreams (HANDs!) Project is a bi-annual youth exchange program aimed at nurturing a sense of common feeling and co-existence as a community shared by the people of Asia. The participants will spend 20 days touring the Philippines, Indonesia, Thailand, and Japan, encountering new cultures, ways-of-thinking, beliefs, and ideas. Travel, room, and board are covered by the program. The trips will consist of site visits, lectures, and workshops. 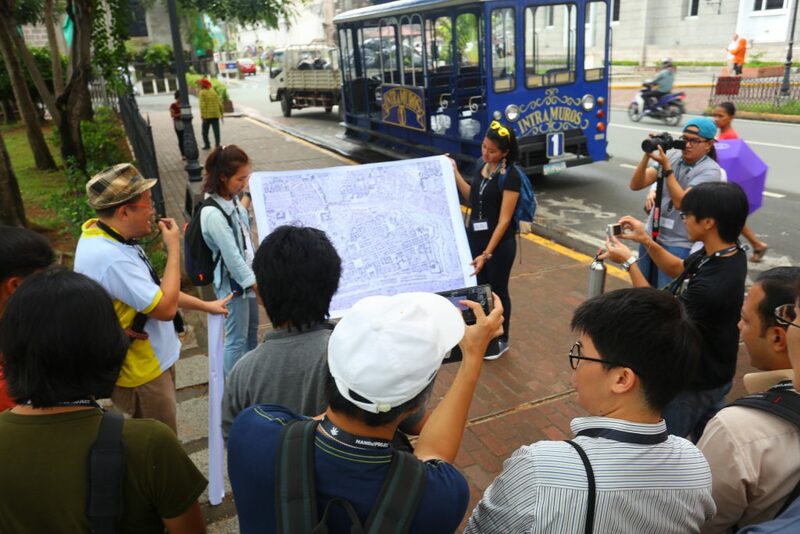 During these intense trips, participants will learn to develop action plans in disaster and environmental education to propose to the Japan Foundation Asia Center. If approved, they will be given support and seed funding to kick start their plans in 2017. 2. Applicants should have a proven record of activities in the fields of community building, disaster preparedness or education, post-disaster reconstruction, environmental awareness, social practice art (including but not limited to design or architecture), visual or performing arts, and social entrepreneurship. Applicants with experience and activity in other fields relevant to the HANDs Project are also encouraged to apply. These can include humanitarian issues (such children’s and women’s rights or LGBT issues), poverty alleviation, urban planning, developing economies, etc. 3. Applicants who are eager to learn from other countries’ experience in post-disaster recovery, disaster preparedness, and environmental issues. 4. Applicants must understand and agree to the goals of HANDs. 5. Applicants must be Filipino citizens. 6. Applicants must have a valid passport by August 2016. 7. Applicants must be between the ages of 18-35. 8. Applicants must be fluent in English. 9. Applicants must be in good physical and mental condition. For CV & Portfolio, please only submit attachments as Microsoft Word files or Adobe PDF. Photo ID should be a JPEG or Adobe PDF. Total size of all attachments should not exceed 8 MB; we cannot accept e-mails with attachments totaling more than 8 MB. For video/media files (if any), please upload to YouTube/Vimeo/Dropbox and send us the link. Do NOT send an e-mail with attachments totaling more than 8 MB. Deadline for submission is July 16, 2016.